I have already reviewed one of Zinus’s memory foam mattresses (see review here), so I was already familiar with the company. I like that their cost structure is so low that they can price their products at such an affordable level. I wanted to give one of their hybrid mattresses a try to see they compare to the memory foam one I tried. In this review, I slept on the 12” hybrid. 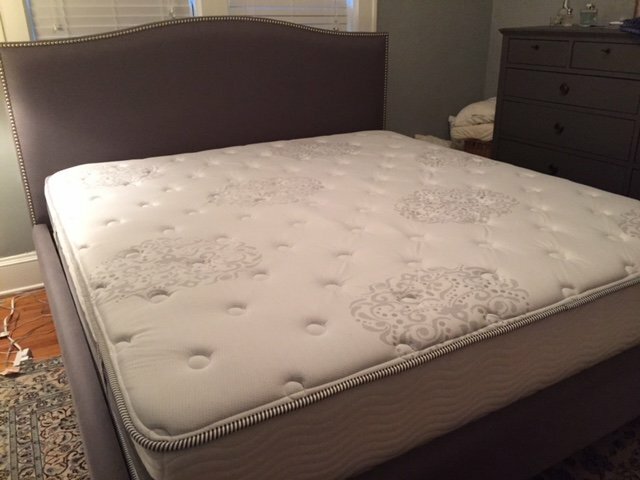 This mattress has a quilted cover with 1.25 inches of soft polyfoam. Below the quilted cover is 1.5” of gel memory foam and then 1” of viscolatex foam. This mattress attempts to combine memory foam and springs to create a hybrid mattress. My experience was that it did have an in-between feel. You Are A Stomach/Back Sleeper– I found this mattress to be pretty firm and think most people would agree. That makes it better suited towards stomach and back sleepers. You Are Looking For Something On The Firm Side– Again, this mattress is pretty firm, so if you know you are looking for something that is more firm, this could be a good option. You Want Extra Value– The company has a lower cost structure in general and spends much less on advertising. As a result, they are able to price their product very low ($610 for a Queen). You Like The Concept Of A Hybrid Feel– This mattress definitely feels different from a standard memory foam mattress and a standard innerspring mattress. If you want something that’s in between those two feels, this could be a good option. You Are A Side Sleeper– This mattress is pretty firm, so I think it might not be the best fit for most side sleepers. 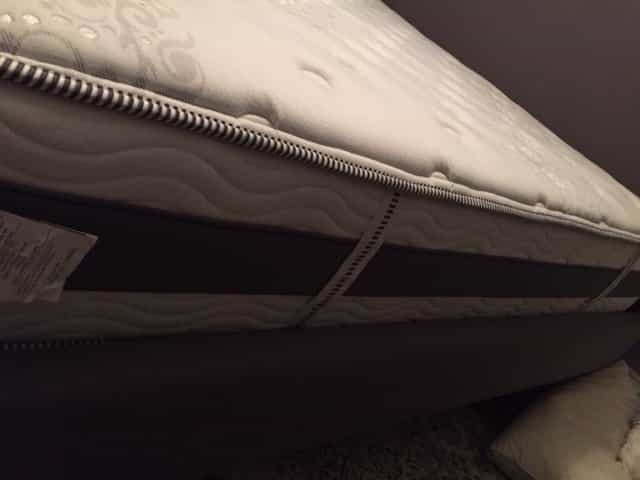 You Want A Full Memory Foam Feel– This mattress does have memory foam in it, but it doesn’t give you the same feel that you would get from say a Tempur-Pedic. If you want the full slow-moving memory foam feel, then you might want to look elsewhere. 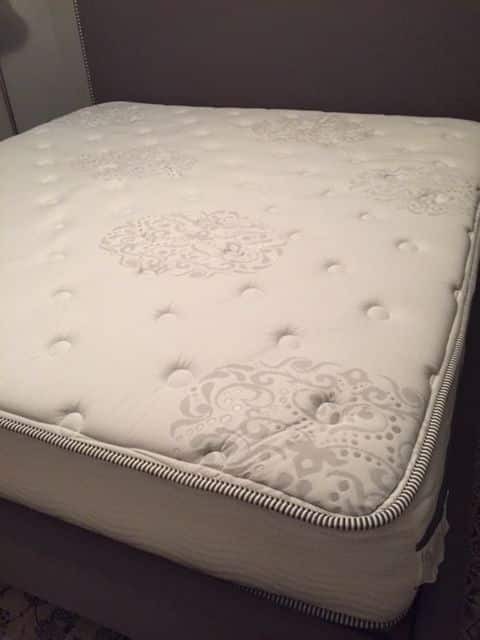 You Want A Full Traditional Innerspring Feel– Similarly, this mattress doesn’t give you the full innerspring feel, so if you are used to traditional spring mattresses and really like the feel, then you might want to look elsewhere as well. I thought that the mattress was definitely firmer than average. I had multiple test it out and say the same thing. For me, that made it ideal for stomach or back sleeping but not so ideal for side sleeping. The feel was an interesting balance between memory foam and springs. It definitely did have a hybrid feel. This mattress does a good job of isolating motion. It’s probably not quite as good as a fully memory foam mattress, but it still is solid. That makes it a pretty good option for couples who don’t want to be disturbed when their partner moves around in the bed. This mattress does present an intriguing value. Given its firmness, I don’t think it’s the best fit for side sleepers, but back and stomach sleepers would do well with this mattress.